U.S. sales rise 2.2% in Dec.; SAAR hits 2018 high. Ford’s U.S. car sales slid 18 percent in 2018, while SUV and crossover demand rose 0.5 percent and pickup deliveries rose 1.4 percent. U.S. LIGHT-VEHICLE SALES, DECEMBER & YTD Download! **Dec. totals are estimated, 12 mos. totals are actual. U.S. auto sales rose 2.2 percent in December, capping a year that saw overall volume rise 0.6 percent even as automakers endeavored to counter slumping car demand with record light-truck deliveries. The final sales tally for 2018 — 17.33 million cars and light trucks — also makes it the fourth-biggest year on record. The robust December SAAR came in above a forecast of 17.3 million based on a survey of 10 analysts by Bloomberg. It easily topped December 2017’s SAAR of 17.44 million and November’s 17.55 million sales pace. 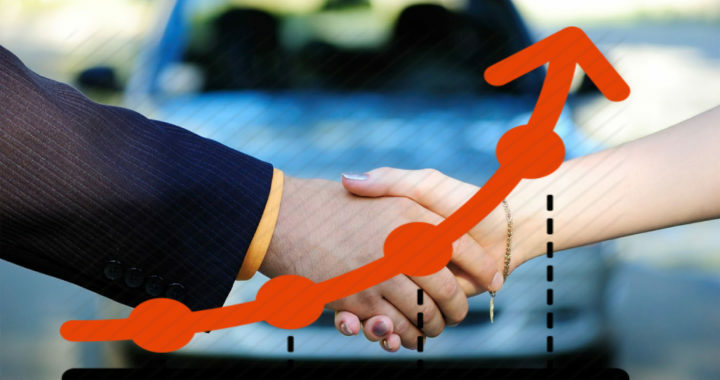 Generous discounts and steady economic growth fueled new-vehicle sales throughout the year. U.S. consumers also appeared to shrug off slumping stock prices in December. U.S. sales had risen 0.4 percent through November, with higher fleet shipments offsetting a slight dip in retail demand during the year, analysts say. Overall, U.S. light-truck sales rose 6.9 percent last month, and 7.7 percent to nearly 12 million in 2018, while car deliveries slid 8.2 percent in December and 13 percent for the year, marking the fifth straight annual decline in car volume. U.S. sales at FCA US, Honda and Nissan rose last month while Ford, General Motors and Toyota posted declines. FCA US said December sales rose 14 percent, driven by gains of 10 percent at Jeep, 37 percent at Ram and 17 percent at Dodge. For the year, FCA’s U.S. deliveries jumped 9 percent. At Ford Motor Co., December sales dropped 8.8 percent, with volume off 9.6 percent at the Ford division but rising 8.5 percent at Lincoln. For the year, Ford sales dropped 3.5 percent behind an18 percent decline in car deliveries. GM’s U.S. sales dipped an estimated 3.7 percent last month. GM said Thursday it sold 785,229 light vehicles in the fourth quarter, a decline of 2.7 percent from the last three months of 2017. Overall, GM’s U.S. sales fell 1.6 percent to 2.95 million last year, with every brand posting lower volume. Buick, down 5.6 percent, led the decline. GM said its U.S. car sales slid 24 percent in the fourth quarter and 21 percent for the year, while light-truck demand rose 2.4 percent in 2018. 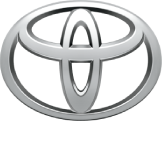 At Toyota Motor Corp., December volume dropped 0.9 percent, with sales down 1.1 percent at the Toyota brand but rising 0.2 percent at Lexus. For all of 2018, Toyota’s U.S. sales edged down 0.3 percent, with car demand falling 12 percent and light-truck shipments up 7.9 percent. It was the third straight drop in annual U.S. sales at GM, Ford and Toyota — the market’s top sellers. Nissan Motor Co. volume rose 7.6 percent last month, including a 7.2 percent gain at the Nissan brand and 10 percent rise at Infiniti. The company’s overall 2018 sales dropped 6.2 percent behind a move to lower discounts and fleet business. American Honda said December sales rose 3.9 percent, with volume up 3 percent at the Honda brand and 11 percent at Acura. But total 2018 volume slipped 2.2 percent, with the Honda brand down 2.8 percent but Acura sales rising 2.8 percent. Subaru rolled to another annual U.S. record, with December volume rising 1.9 percent, and 2018 sales of 680,135, a gain of 4.9 percent. It was the tenth consecutive year of record U.S. sales for Subaru and the eleventh consecutive year of gains. Sales last month rose 5.6 percent at Hyundai, 10 percent at Kia and 5.8 percent at the VW brand. Among other automakers, Mazda reported a 3.8 percent decline in December deliveries but a 3.8 percent increase in 2018 sales, and Mitsubishi said December sales rose 5.7 percent, with 2018 volume finishing 14 percent higher. Along other luxury brands, December deliveries rose 33 percent at Land Rover, 1.4 percent at Jaguar and 4.4 percent at Porsche, with the German luxury brand setting an annual U.S. sales record of 57,202 units. Volume dropped 8.8 percent at Volvo and 69 percent at Genesis. For 2019, most early forecasts see total industry sales coming in at 16.8 million to 17 million units, with some estimates as low as 16.7 million. That would mark the first total below 17 million since 2014. While interest rates are rising and used-vehicle supplies are growing, new-vehicle sales continue to be supported by light-truck demand, employment gains, healthy economic growth and low gasoline prices. DECEMBER INCENTIVE OUTLAYS FOR U.S. There were 26 selling days last month, the same as December 2017. Cars represented just 31 percent of U.S. light-vehicle sales in 2018 — the lowest level ever recorded. And car sales (5.36 million in 2018) have not been as low since 1958 (4.6 million) — near the peak of tailfin hysteria. Light-truck sales hit a record 11.975 million — just shy of 12 million units — in 2018, a feat never mustered by cars in over 100 years of sales. The Ford F-series was the top-selling U.S. light truck for the 42nd straight year in 2018. The Toyota Camry was the top-selling car in the U.S. for the 17th consecutive year in 2018. J.D Power estimates retail demand fell 1 percent and fleet sales rose 2.7 percent last month vs. December 2017. Days to turn, the average number of days a new vehicle sits on a dealer lot before being sold, was 71 days through Dec. 13, down a day from December 2017, J.D. Power says. Kelley Blue Book estimates the average transaction price for light vehicles in the United States was $37,577 in December, up 1.3 percent from December 2017 but down $93, or 0.2 percent, from November 2017. Posted in News and tagged SAAR, U.S. sales rise 2.2% in Dec.